We all slow down a bit as we age. Our older seniors can become more sedentary, but they, like everyone else, continue to need activity for both their minds and their bodies. It can be challenging to create recreational activities for seniors like a parent while we have our own responsibilities. In addition, many seniors are reluctant to try new things or venture out of their “comfort zone”. Senior care is both a blessing and a challenge! As a caregiver, it is necessary to find that happy medium. Finding activities that your family member will participate in but enjoy as well can be difficult, but it’s not impossible. 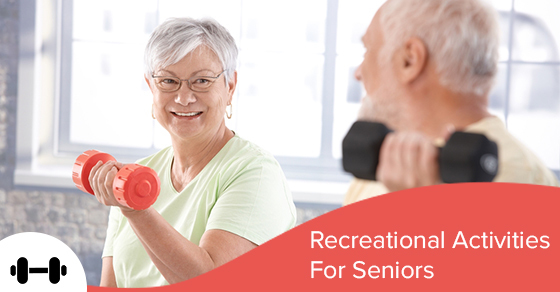 Let’s look at five such recreational activities for seniors. That garden could be in your own backyard or a formal garden where you live. If they are not completely mobile, the back yard would probably work better. If they have been interested in flowers and plants their whole lives, they would love an outing to a formal garden. Many such public gardens provide mobile carts, so inquire about that. Even if they have never been a big fan of gardening, getting out in the sun with other people and children will brighten their day. Spend time identifying flowers or challenge them to do so. Take pictures and have a special lunch out. They will enjoy looking at the photos later and remembering the time they spent with you. Senior care can be fun for you too. If they have been a sports enthusiast their whole life, this is a perfect activity. It could be as simple as attending your child’s little league game or hockey tournament. Find their favourite sports hat or t-shirt. Including them in your normal activities is a way to make senior care more about love and companionship. Make them feel included in your life. If they are homebound set up a weekly or biweekly night where a number of family members visit at the same time. Bring a potluck dinner and play board games or watch a movie. If your senior can make something to contribute to the dinner, all the better. Elder care should include the whole family. This has lots of possibilities. Maybe your senior loves to knit or crochet. Give them a whole new purpose for their hobby. Visit a neo-natal unit at the nearby hospital and get them excited about making hats, blankets or some other necessity. Give them a reason to feel needed once again. If they love animals, and they are mobile enough, perhaps they could volunteer at the local Humane Society. Who doesn’t love puppies and kittens? Senior care can be about happy activities that help even the depressed and lonely. Go with them to a local homeless shelter and serve food once a month. If their vision is still good, volunteer them to read books to small children at the library during the summer. Sometimes we get so wrapped up in senior care we think we know what’s best for them. Step back a minute and give them a chance to tell you what they would like to do. You might be surprised. Go with it (as long as it’s safe) even if it might not make sense to you. Senior care should occasionally be left to seniors. The best elder care requires compassion and yields dignity to your loved one. Contact C-Care Health Services with questions or concerns about your loved one.